My lifelong fascination with technology, degrees in science & engineering, a musical bent, and a pilot’s license can sometimes help me forget that many folks are not math-savvy. The idea that there exists people who do not love to learn more about math is just mind-boggling to me. Math is a vast universe of different ways to look at things around us by counting them up in various ways. If you don’t enjoy one way, try another. Soon, you will come back around to, if not love, and then appreciate, the area you first avoided. As you get to know it, you will realize that maths is not just a saw or hammer, but an electrically powered jig saw, or maybe a jack hammer! To ask which is the best is a silly question. You would not use a saw to hammer a nail. And in future blog posts I may visit a few of the other tools. However, today is maths. So here’s 3 maths of my special category “most fascinating”. There is a vast area of maths devoted to find the best way to control things. For instance, you may want to control the temperature in your house, the speed of your car, or the heat on your stove top. In the olden days, we could control the speed of our dinner cooking by adding logs to our fire. Nowadays, we have computers that monitor our car’s speed and decide whether to push or release a bit on our engine’s throttle. At the very basic core of maths are a few principles that you may find useful in everyday life. Before you can control something, you must first determine (mathematically in the case of control theory) if something can be seen, or is observable. This is terribly logical, if you can’t see enough of the system you are trying to control, there is no way to control it. But try telling this to an economist or a voter judging the President’s ability to create jobs. Once you have decided the phenomena is observable, is it controllable? Again, this is determined mathematically for engineered systems. In “real” life, is it possible to control others emotions if you can’t control your own? Sometimes, you can’t just look at a something passing by to figure out what’s going on with it. Sure, this works pretty good for catching trains. But sometimes, especially when figuring out how to control something, it helps to ask: “How often does it do this?” Looking at things in the “frequency domain” is the heart of the Fourier method in maths. Delving into this very useful approach should give us pause to say in “real” life, am I looking at this problem from the right perspective? If I can’t make sense of this train arrival time by standing here looking at the train, maybe I should walk over and look at the train schedule. If flummoxed by a problem, stop, get up and move around until you get the more useful perspective. Sometimes we stare at numbers and suddenly realize it is not about numbers at all. 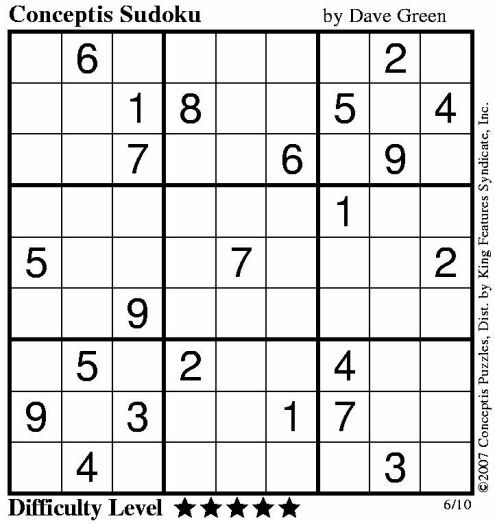 This is one lesson of the sudoku puzzle. It could be rendered as different colored squares and be just the same puzzle. By using numbers as stand-ins for color, it is easier to put in puzzle books. Sometimes, when numbers are the solution, they are actually standing in for something else. Catching train 846 at 10:32 am comes to mind. If, like the famous Barbie doll, you think “math class is tough“, consider finding a new teacher, or your own set of books, or using maths in your hobby, or… whatever new perspective will get you into one of the most powerful tools in life’s toolbox. Because in life, sometimes all you need for a little jog into a new perspective is to substitute a number for a color… or maybe a British word for an American word.